In the process industry, the design phase starts with the process design and followed by engineering design for other disciplines. A Process Flow Diagram (PFD), shows all equipment in the process scheme like pumps, compressors, heater, reactors, distillation column that are required for processing, and links them up in the form of a flow diagram showing materials flow and heat flow through each of the equipment. Simulation and optimization of the flow diagram is carried out by making use of process simulation software available from reputed software companies like SimSci, Aspentech, Hyprotech, and others. These enable the process engineers to design new processes, evaluate alternative plant configurations and arrive at the optimum design. 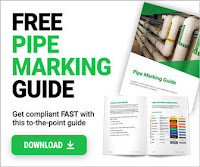 The other most important drawing is Piping and Instrumentation Diagrams (P&ID) showing all interconnecting pipe sizes, pipe specifications, control system and control instrument specifications. It also gives major equipment sizes and performance specification. In earlier days, P&IDs were being conceived and drafted total manually. Now P&ID software provide the capability to built schematics intelligently, performing design checks for consistency and compatibility of components. Once the process simulation is done, the actual drafting works are carried out by software programs like AutoCAD, Mircostation and other software. Once the process design is over, a multi-disciplinary engineering team starts what is known as detailed engineering. While mechanical engineers carry out the mechanical design and drawings of the equipment, electrical engineers estimate the power requirement in the plant and start making drawings for cable layout and power distribution. Similarly piping engineers making piping layout drawings and civil engineers start foundation and structural drawings. For each discipline, there are specific design tools (software). The drawings were generally done earlier using 2-Dimension drafting sotware like AutoCAD, Microstation etc. With the complexity of integrating multi-disciplinary designs and drawings, 2-D systems for drafting and modeling had become inadequate. A number of good 3-D modeling for engineering design of process plants along with data management and a lot of other options are available now. Examples of such software’s are PDMS, PDS, AUTOPLANT etc. Some of the features in these software’s are described below. The 3-D software allows interaction between all disciplines in the 3D design workflow by allowing by comprehensive set of integrated applications covering all engineering disciplines at its core. Through the design, standard and automated deliverables can be generated directly from the model. The in-built linkages within the software allows for updating of sequential designs or drawings for any changes in the input, minimizing the possibility of errors, when a series of drawings are generated. Such software allows the projects to be executed within an unlimited, multi-user, multi-site access environment globally using low-bandwidth technology on multiple platforms. · Saving in material as the impact on bill of material for changes in design is taken care of more effectively by this kind of software. · Visualization of the 3-D model, which helps in better judgment in design and operability. In the specialized world of plant design, it is called “immersive group visualization”- theater style system enabling a group of engineers and their customers to take a big-screen ride through a proposed new plant. Figure presents typical networking for a global engineering design operation. With the improvements is software system and communication, engineering services outsourcing is gradually as common as outsourcing in the IT industry.